Morse Watchmans have been known as an innovator of high- quality, cost-effective technology for over a century. Through seamless design, manufacturing and support, we earned the reputation as the world leaders in security management products. Specializing in state of the art key management (KeyWatcher), guard tour (Powercheck) and Tamper-proof KeyRings, our products are reliable, easy to use and expandable to meet your growing needs. Lenel Systems International is a leading provider of software and security systems for corporate and government markets. Lenel focuses on developing products that enable organizations to effectively perfect and manage their people, property and assets by maximizing I.T. and infrastructure investments. Lenels’ expertise have been able to provide “Morse Watchmans” KeyWatcher with the integration package illustrated below, in order they comply with legislation for various industries. Dryad-Hudson is a partnership of Wolseley U.K, and the Hudson (Group) Ltd., developed in order to provide a global Ironmongery and Security design package direct to Dryads’ customer base introducing the full supply and installation of all products rather than a material provision only. 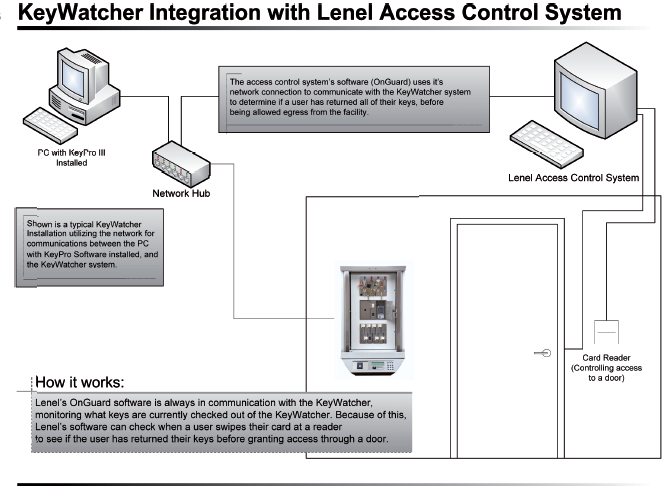 Hudson being a “Value Added Reseller” for Lenel Systems International with Lenels’ expertise have been able to provide “Morse Watchmans” Keywatcher with the integration package illustrated below in order that they can comply with legislation. A preventative measure from removing keys off site was needed. This needed to incorporate an electronic solution to reduce man hours, to prioritize work load and eliminate human error After assessing feedback from various industries and companies a system was required to facilitate a KeyWatcher to produce accurate reporting, backed up with preventative measures of keys not being removed from a controlled perimeter. Allocated keys will only allow users to walk off site through an air lock with their key being returned first, to the KeyWatcher. The basics of this function must allow for any customers needs, such as any individual security applications and any future expansions. To bring together recognised market leaders in their industries such as electronic key management systems, installers / suppliers of security hardware and security software. To interface the Keywatcher system with various access control systems, using a frontend database. 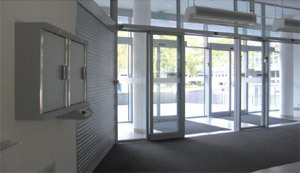 The area of movement for staff with keys would be defined by the parameters within the building controlled by various access controlled doors. The electronic integration is intended to work as a self running, stand alone system allowing staff more time to concentrate on their own duties. The only time intervention is needed is when an alarm is actuated requiring attention to deal with any issues raised, Through the database provided it can offer various security parameters that can be applied to users, keys, bunches of keys, time restraints, reservations and notes etc.